Concrete is an incredibly durable material. After the initial pouring, you can depend on your driveway to last for many, many years. Many expert concrete contractors report driveways lasting well up to 30 years with no major maintenance. Not only does it withstand wear and tear, it is strong and can support heavy loads. Concrete is the best material for handling the weight of heavy trucks or other vehicles. This makes it a better option, particularly when compared with asphalt (another popular driveway material). Asphalt tends to be slightly less expensive, but it is weaker, and more prone to deterioration and damage, which means you are likely to end up redoing the driveway every few years. Perhaps the best feature of a concrete driveway is its easy maintenance. Cleaning is rarely needed, with just the occasional pressure washing. This makes concrete a pleasure for a homeowner, and contributes to its “curb appeal.” Since it is so simple to keep your concrete driveway clean, the positive aesthetic result is excellent. Your driveway always looks great. In comparison, gravel driveways tend to require more maintenance and adjustment. Because they are loose, there is the potential for weeds to grow up amongst the stones, which demands constant tending. Most homeowners would prefer not to deal with that. If you’re looking for a low maintenance driveway, concrete is your answer. A concrete driveway does not need to be plain grey and boring. In fact, there are lots of concrete design options to give your driveway a unique and sophisticated look. If you’re after diversity in texture, concrete stamping finish can create a brick style or other elegant looks. Concrete can also be given a colour treatment which gives it a truly distinctive appearance. Your Geelong concreting contractor can help you to find the style which will best complement your property. A concrete driveway can elevate your landscaping better than other material options can. Its customisation potential with colour, pattern, and texture can create a sophisticated style, but concrete is also very versatile. Beyond just your driveway, concrete can be a part of your outdoor seating areas, patios, or other features. Using concrete extensively gives your property a cohesive, consistent style, and it’s a look you can do so much with. 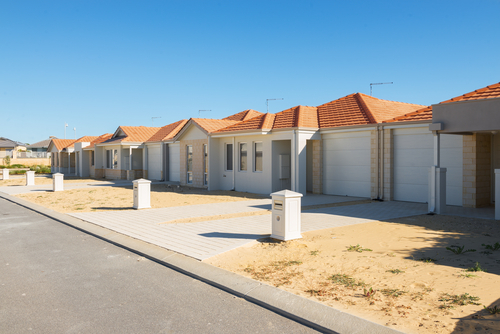 Searching for the right Geelong area concrete professionals to install your concrete driveway? L & A Martino are a company committed to the toughest standards of quality. With 25 years in the industry, you can rely on our team for excellence at every turn.